When the Federal Sentencing Guidelines for Organizations became effective November 1, 1991, the law and ethics now provided a substantive “core” for assessing organizational performance. For the past 27 years, private sector leaders have spent millions of dollars annually to provide employees compliance and ethics programs and training. To what end? While misconduct may have abated, it certainly hasn’t ended. The Uber scandal provides the most recent example of how a corrupt organizational culture encourages misconduct. Ethical decision making: Are employee choices animated by the organization’s values? Organizational justice: Is every employee held to identical standards of conduct? Freedom of expression: Does everyone speak up, willingly contribute and exchange ideas? Research indicates employees in organizations scoring high in these elements make the organization’s values central to their work. 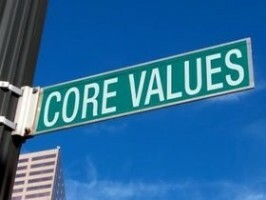 These values not only provide an ethical compass for problem solving but also improve decision making as employees hold themselves and one another accountable for “doing right things.” Furthermore, knowing legal and ethical conduct are prerequisite for advancement, both figure more prominently in these organizations and serving to reinforce the core. Assess what’s wrong. Using rigorous metrics, analyze the organization’s culture as well as the conduct of its leaders and employees by identifying what does and doesn’t work in terms of the law and ethics. Catalyze new ways of leading. Since leadership drives compliance and ethics throughout the organization, leaders at every level of the organization’s hierarchy must exemplify the organization’s core in their conduct. Formulate and use more effective decisionmaking tools and frameworks. Embed the highest expectations for legal and ethical conduct into the problem-solving process. Then, leadership must hold everyone—including themselves—accountable for using those tools and frameworks to make decisions that meet the tests of the law and ethics. Rethink communications and policy accessibility: Introduce clear policies rooted in the organization’s core that excite and engage followers with the possibility of becoming a legally and ethically public service exemplar. Innovate using adult education theory: Implement best practices for adult education by immersing followers in learning experiences regarding the law and ethics. Leaders didn’t acquire the knowledge others needed and was readily accessible. If leaders did acquire this knowledge, they didn’t disseminate it to those who needed the knowledge to solve problems and make decisions. Or, if leaders did acquire and disseminate the knowledge, they didn’t ensure that those who needed the knowledge were utilizing it to solve problems and make decisions. To deliver on the promise of shaping organizational cultures committed to both the law and ethics, public administrators can utilize adult learning theory to create the conditions wherein both gradually become the “glue” holding everything together. This outcome will evidence itself in “the way we do things around here” as everyone holds themselves and one another accountable for upholding the law and ethics. Then, as learning becomes a continuous, iterative cycle, people will forge the culture of a community of learners whose members inquire into possibilities motivating a greater commitment to the organization’s substantive core. Implementing Eichenwald’s roadmap, public administrators exercise ethical leadership as that’s envisioned in the principles and practices of ASPA’s Code of Ethics. Moreover, as public administrators implement the roadmap’s third and fifth elements, they also function as their organization’s “Chief Learning Officer” focusing everyone upon making the law and ethics the organization’s core.